The Tecnam P2006T is an Italian high-winged, twin-engine all-metal light aircraft built by Costruzioni Aeronautiche Tecnam, which is based in Italy. The P2006T is the lightest twin-engine certified aircraft available, and is a four-seat aircraft with fully retractable landing gear and liquid-cooled Rotax 912 engines. The P2006T first flew on the 13 September 2007 and was certified by EASA on the 5 June 2009. NASA's all electric X-57 Maxwell prototype aircraft is being developed using a P2006T as its basic structure. Analog and G1000 variants are sharing the same resources (single folder, two airplanes). Exhaust emission position fixed for both engines. Engine cooling and radiator remodeled. Engine operational limits (CHT, Oil temp) tuned. All airfoils updated to the latest X-Plane 11.30+ versions. Trim settings and speed tuned. Aircraft handling characteristics tuned to allow better high AOA handling with/without flaps. Stall speeds (0-60 bank degrees/flaps 0/TO/full). Takeoff performance - ground roll (low/gross weight SL and high elevated runways SL-5000 feet AGL). Takeoff rate of climb at Vy (gears up/flaps takeoff). Takeoff rate of climb at Vx (gears up/flaps takeoff). Enroute rate of climb at Vy (gears up/flaps up). Enroute rate of climb at Vx (gears up/flaps up). Single-engine rate of climb at Vyse (prop feathered). Single-engine rate of climb at Vxse (prop feathered). Landing performance (ground roll (low/gross weight SL and high elevated runways SL-5000 feet AGL). Fuel consumption - all flight levels, all power settings (various MP and prop RPM based on Tecnam official data which is existing in the Tecnam P2006T aircraft POH). Autopilot Master switch algorithm redesigned. AP Master switch is now the actual master switch for the autopilot system, and it is on top of the autopilot panel switches. Functional buses cross-tie algorithm added. Cockpit lighted switches added (white for the Analog variant, Black for the G1000 variant). RH instruments light switch is now functional is it should be, electrical powered, and will switch the light ON/OFF. Fuel tanks selectors in 'cold-and-dark' and in 'engines-running modes'. AviTab is now not visible by default. Use Custom Slider No.1 to toggle the AviTab appearance in the cockpit. Cockpit switches interaction for VR remodeled. Hide-yoke touch-zone remodeled (larger, and on both sides). STMA AutoUpdater plugin was added. Engine damage in excessive working temperatures algorithm was added. Landing gears (tires) blow-up algorithm was added, including visualization. Annunciator panel remodeled (Alanog variant) to match real-scale size and proportions, re-textured with larger text for more clear reading. PRB normal maps were added for the fuselage. Trim-wheel interaction zone fixed in the G1000 variant. ADF/Transponder (Analog variant) clearer visualization. VRconfig for realistic yokes and hotspots. AviTab 3D tablet was replaced with a larger one to allow clearer VR experience. AviTab plugin built is support added, including 3D animated tablet. Objects and glass reflections refinements. Night lights (gauges and switches). Internal engineering preparations for future planned updates. Fully optimized for VR using touch controllers. Both Yokes, all levers, knobs, switches, handles are defined for VR operations. 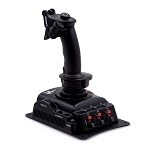 Simultaneous (dual) and differential, throttle operations: control EACH or both throttle levers with a single VR controller. Fixed G1000 fine altitude selection fixed. VFE maximum flaps extended speed fixed for T.O. position. Performance - landing gears drag refined. Ground handling refinements - nose wheel steering setup fine tuned.